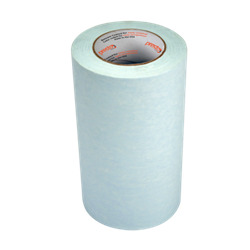 An economically priced, standard weight saturate blue paper with low tack adhesive is release coated for easier unwind. The product is used for the clean pick-up and transfer of lettering and graphics. it is wrinkle free and leaves no residue or oil. The 7176 is recommended for use with digital and ink jet graphics. The 7176 provides excellent adhesion for transfer of medium to large letters and graphics to their target source for installation and offers a simple release after use.
? Premask for large format digital prints.